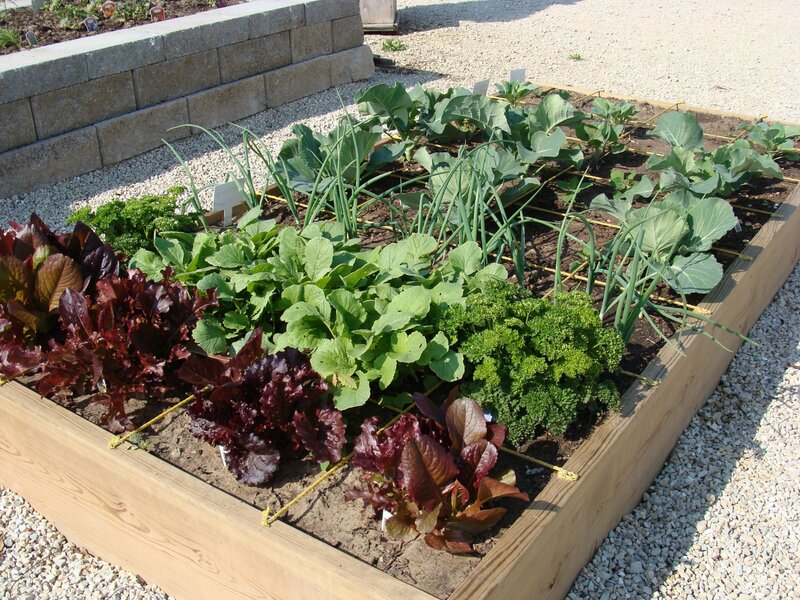 Fertilize vegetable gardens as the soil is being prepared for planting. Cultivate weeds and remove the old, dead stalks of last year’s growth from the asparagus bed before the new spears emerge. Asparagus and rhubarb roots should be planted as soon as the ground can be worked. Also plant seed potatoes, onion sets and onion plants. Plant peas, lettuce, radish, kohlrabi, mustard greens, collards, turnips, potatoes, spinach and onion sets/seeds. Sow beets, carrots, parsley and parsnip seeds outdoors. Set out broccoli, cabbage, brussel sprouts, Chinese cabbage, and cauliflower transplants into the garden. Start seeds of tomatoes, peppers and eggplants indoors. Begin spring cleanup. Cut off perennials to 3” above the ground. Remove damaged foliage, any old flower stalks and seed heads. Ornamental grasses and hardy hibiscus can be pruned back to 6” above the ground. To control Iris borer, clean up and destroy the old foliage before new growth begins. Loosen winter mulches from perennials cautiously. If frost is due, recover plants at night with mulch or cloth—no plastic. Summer and fall blooming perennials should be divided in spring, including ornamental grasses. Begin adding Barley Straw and enzymes to your ponds now to control algae. Pansies can be planted outdoors. Nesting boxes for Bluebirds can be set up as well as Purple Martin houses. (They will be returning to this area the end of March.) Clean out old bird houses and put up new ones. Fertilize bulbs broadcast over the plant bed. Hose off any granules that stick to foliage. Houseplants can still be repotted. If they are root bound, move them to containers that are 1”-2” larger in diameter than their current pot. Leggy houseplants can be pruned now. Mow lawns low to remove old growth before new growth begins. Rake out dead cuttings/thatch. If you don’t over-seed, Crabgrass Preventer + Lawn Food can be applied. Reseed and aerate lawn areas as needed. Keep the seed moist for good germination. Dryfeed with 10-20-10. If you will not be seeding, treat for crabgrass using crabgrass preventer + fertilizer. Once flower beds have been cleaned up, re-mulching can be done. Be sure not to mulch in the crowns of plants. Dry feed beds with a granular fertilizer (Osmocote) and apply a pre-emergent if you do not plan to plant any seeds. Aphids can be active this month, especially on new growth. It will appear shriveled or malformed. Spray with permethrin or malathion. Fertilize acid-loving plants such as Azaleas, Rhododendrons, Hollies, Dogwoods, Hydrangeas and Evergreens. Heavy pruning of trees should be complete before growth occurs. Trees should not be pruned while the new leaves are growing. Apply imidacloprid systemic insecticide to prevent borers and leaf gall on trees. Use dormant spray on all fruit trees, berry plants, rose bushes, euonymus, etc., when daytime temperatures are above 40 and before new growth has begun. Strawberries, blueberries, blackberries, grapes and fruit trees can be planted this month. Gradually remove mulch from strawberries as the weather begins to warm. Spray peach trees with a fungicide for the control of peach leaf curl disease. Prune peaches and nectarines this month before any active growth.